FRACGP, MRCGP, Dip Derm (Cardiff), Dip Dermoscopy. Interests: Skin Cancer, Dermatology, Paediatrics. Consults: Monday and Wednesday evening and Saturdays. 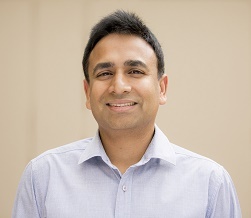 Krish completed his postgraduate qualifications and worked in Scotland before moving to Melbourne in 2014. He completed his UK MRCGP and a Diploma in Dermatology from Cardiff University. Krish is currently pursuing a Masters in Dermoscopy and Preventive Dermato-oncology at Graz University in Austria. His areas of clinical interest are skin cancer, general dermatology and paediatrics. He is a GP medical student supervisor at Melbourne University and enjoys the breadth of General Practice. Outside medicine, Krish is interested in wine and has completed a Level 3 WSET Award in wines. He also enjoys travelling, playing tennis with his sons and enjoys his wife’s culinary skills.